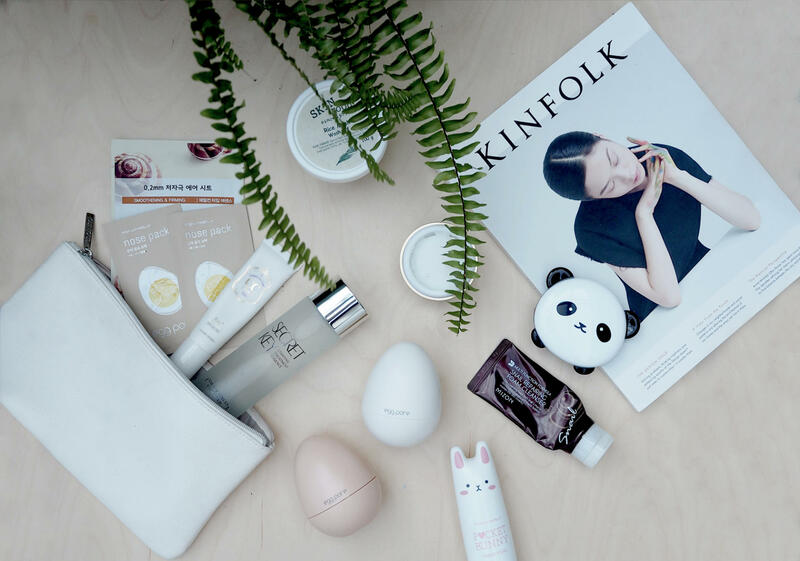 Korea is at the forefront of research into new skincare products, and with skincare being such an important part of their daily beauty routine (while our three step routine here may seem like a chore, many Korean women swear by their ten-step process), it’s no surprise their products completely blow ours out of the water. Creators of the sheet mask, double cleansing (cleansing using first an oil based cleanser followed by a water based cleanser) and the cushion foundation, it’s pretty obvious where a lot of Western beauty brands are currently getting their inspiration from. Already I’ve seen YSL and Bobbi Brown release their own versions of the cushion this year, countless brands (think Charlotte Tilbury and Rodial) have added sheet masks to their repertoire, and I’ve seen so many gradient lips coming through it’s unreal! These are just a very small selection of the products I’ve tried and tested (and also the ones I’d either jus re-ordered or had enough product in to shoot). There are so many Korean beauty products I’m obsessed with so I’m sure I’ll do another post on the ones I’ve missed this time round. But for now, here goes! Sheet masks are quite literally the perfect beauty invention. For anyone else who’s as lazy as me when it comes to proper skin care, these will also soon become your new life savours. Just pop one on after cleansing and toning, wait for the serum to sink into your skin for around 10-15 mins then throw away. No need to wash the mask off – see.. I told you. Etude House’ smoothening and firming Snail mask is my current favourite. Containing snail excretion (don’t judge until you’ve tried), it’s leaves skin feeling hydrated, smooth and radiant. Technically an essence not a toner, Secret Keys’ Starting Treatment Essence is the product I use in place of a toner (post cleansing and applied before I go to bed). This I believe is supposed to be a knock off of SK-11’s First Treatment Essence, but seeing as I’ve never tried it I can’t give any opinion on that, however I can tell you about this one instead. A fermentation essence (made from a byproduct of Sake), Secret Key’s Starting Treatment Essence calms redness, intensely hydrates the skin and gives my skin one heck of a glow! Egg Pore Steam Balm – Use post cleansing a few times a week to help unclog stubborn pores across the T-zone. The first ever time I used this I had no idea it was self heating (that was a surprise), but after you get over that initial shock it’s life changing! I try to use this a couple of times a week, especially if I’ve been wearing foundation. Egg Pore Tightening Pack – I probably use this one the least of the three Egg Pores, but it’s still a must-have. I usually try and apply a little after the Steam Balm when I have time, leave on for around ten minutes then wash off as you would a face mask. Over time it strengthens the ‘walls’ of your pores, creating a smoother skin texture. Egg Pore Silky Smooth Balm – Described at the ‘Secret to porcelain skin’, I treat this product the same way I do a primer. If, like me, you suffer with slightly enlarged pores or scars over some areas of your face, this is great for ‘filling’ them and creating a smooth even surface before applying your foundation/CC cream etc. I’m a huge fan of Skinfood, and this is one of my favourite of their products at the moment. Their Rice Mask contains rice extract to moisturise and brighten the skin, is super soft and gentle and smells incredible! I also love the fact it acts as both a scrub and mask so for the days my skin really needs a little TLC I massage it in for five-ten minutes before rinsing off. Mizon Snail Repairing Foam Cleanser – I am OBSESSED with this cleanser (as you can probably tell by my having gone through the millionth tube in the picture above). Super thick and creamy and is great for clearing up acne and scarring, plus as it contains snail mucus foam it’s great for getting rid of black heads and excess dirt. Tony Moly Panda Dream Clear Pact – Probably the cutest thing I’ve ever popped in my makeup bag! A blend of bamboo and cocoa seed butter, Tony Moly’s Panda Powder is superfine, non-cakey and makes my skin look smooth and clear. And like I said – It’s the cutest thing I own. Etude House Correct & Care Silky CC Cream – Korean CC creams blow my mind! I never thought I’d see the day I would trade in foundation for something with less coverage, but I’ve finally found a product that is lightweight, looks natural and has great coverage. An 8 in 1 formula, Etude House’ CC Cream hydrates, primes, conceals, treats and protects skin as well as containing SPF30. It also self adjusts to your skin tone which is the most magical thing I have ever seen. Tony Moly Pocket Bunny – Another one bought because I couldn’t not – It look’s like a bunny! I’ve got combination skin and tend to get dry skin (especially round the eye area) throughout the day, and this is great for keeping my face hydrated throughout the day. Also smells kinda powdery and fluffy (like baby powder) which I love! 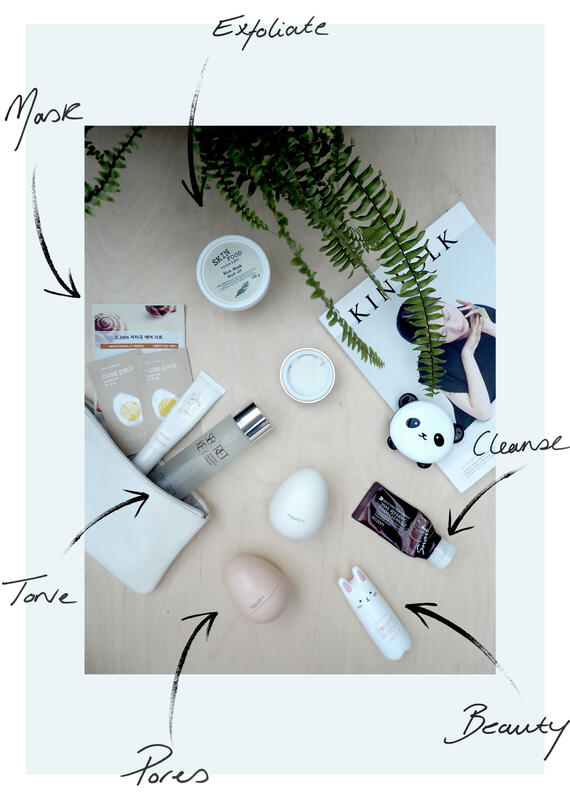 So there we go – my current Korean beauty faves! There are so many amazing products on the market at the moment and so many others that I’d love to write about at some point. Any products you’ve tried and tested and are definitely worth a try please let me know, I’d love to hear them!